INRAD M605 desk stand with clip. 4" pipe from stand to clip. 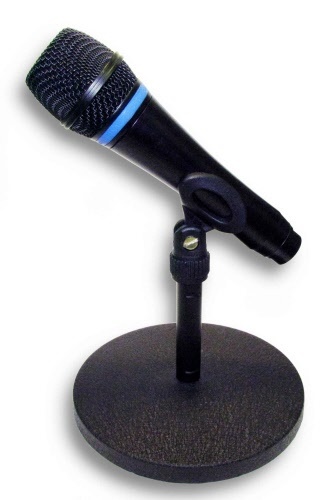 Microphone sold separately.